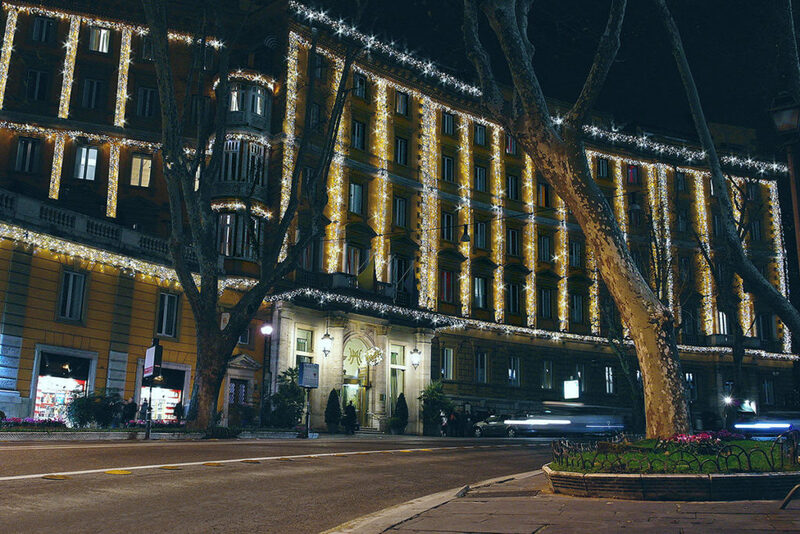 The Hotel Majestic inaugurated in 1889, is the first hotel that was built on the via Veneto. Previous to the construction of the street, this neighbourhood was known as Villa Ludovisi. 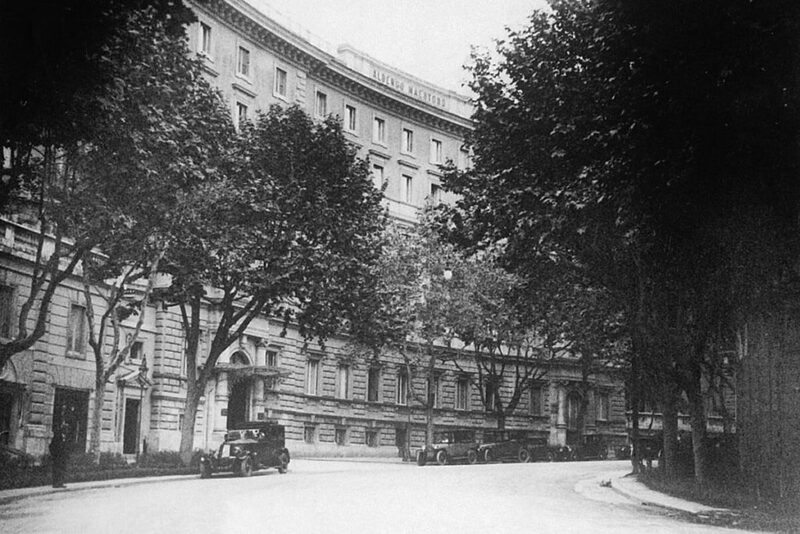 The building where the hotel was to be created is part of the first belvedere of the new street cut through the Cappuccini friars’ garden. The view on Piazza Barberini was achieved by carving the height overlooked by the conventual church of Saint Isidoro and by the Villa Boncompagni. Thus, the designer Gaetano Koch, known as the prince of architects of those times, was forced to give the building that unique “piano-like” layout which characterises its plan. The architectural design and the modern features of the Hotel Majestic reveal its intent to stand out, from the start, as the leader in this town’s accommodation of that time. 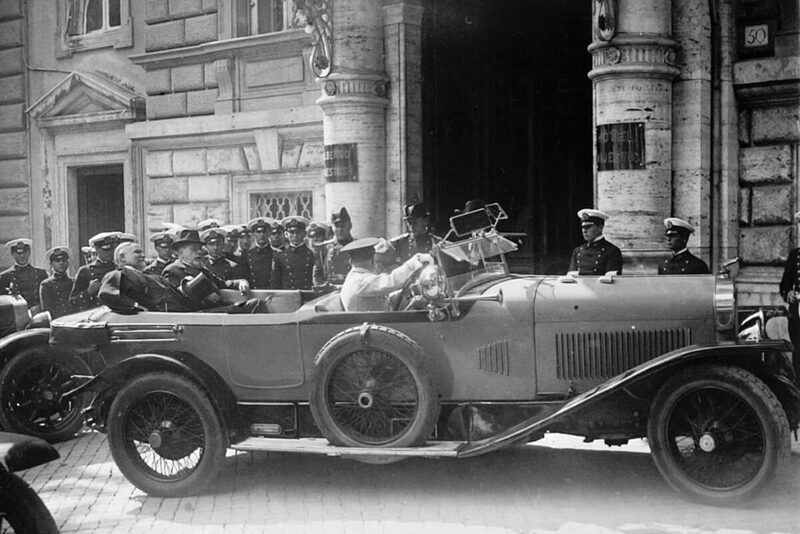 The hotel’s fame and fortune reached its peak during the Twenties, when high-society members used to choose this hotel for their stay in Rome. At The Majestic Roma, royals, prince & princess and show biz stars could find luxurious details together with the comforts of progress in addition to the thrill of being in a town of ancient civilization. 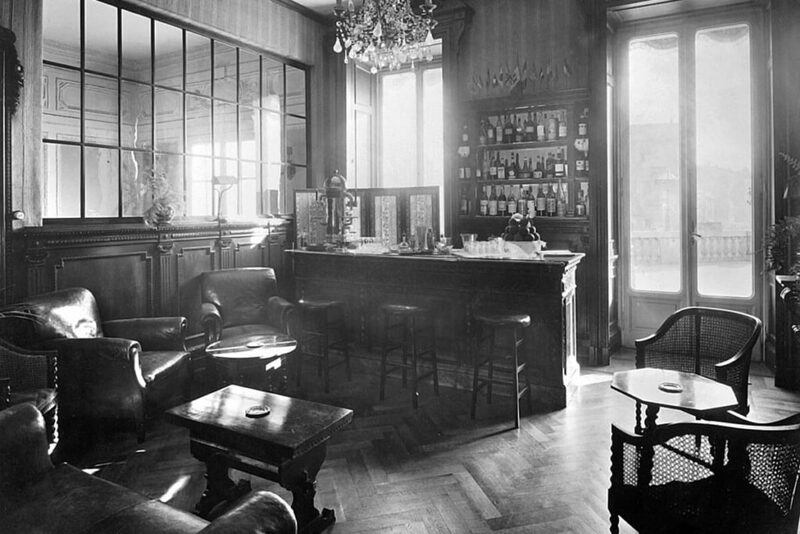 Worth noting that due to language restrictions during the Fascist regime, where it was forbidden to use foreign language terminologies, the Majestic Hotel was called Albergo Maestoso. 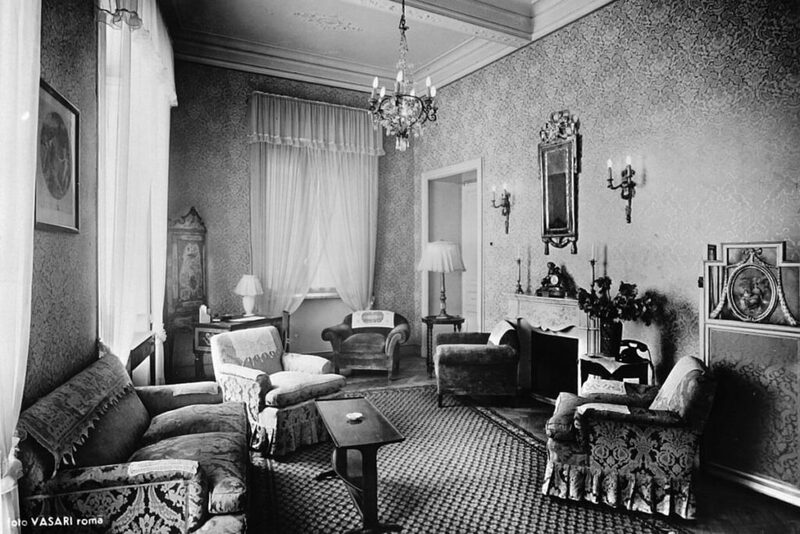 Real antique objects decorated rooms and suites, while lounges showed the richest among tapestries and furniture. Artist Domenico Bruschi from Perugia frescoed the ballroom, located on the 1st floor, and named after musician Giuseppe Verdi, in the year 1900. Allegorical scenes depict the glory of the Roman Empire and that of the Italian Royal family, Casa Savoia. 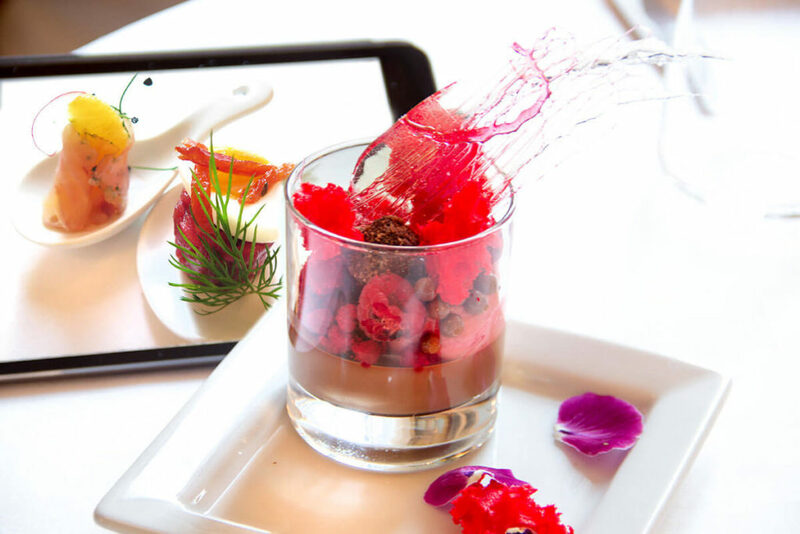 Right from the start, the Hotel Majestic has always been renowned for the high standards of its enogastronomic offer. 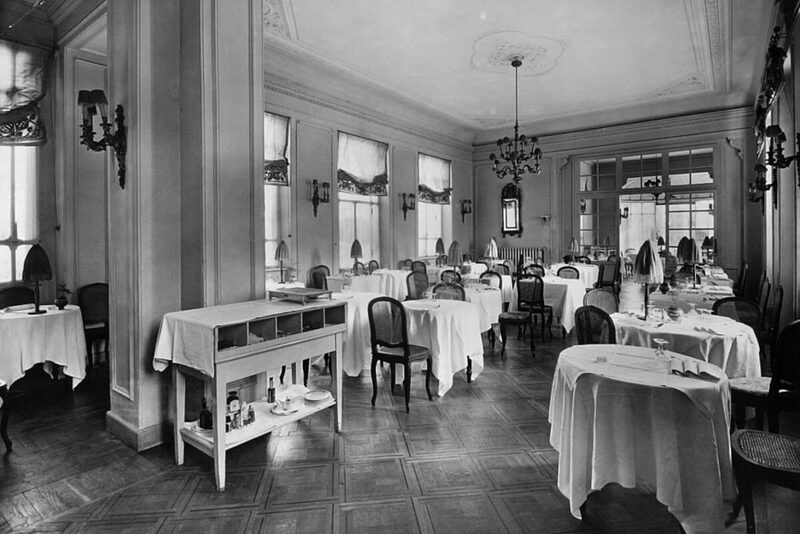 In this hotel, and in alternative to common hotel cuisine of those days, the chefs who revealed their preference for local cookery and wines played a remarkable role. All those local specialties were however presented with the most refined display, on fine linen, China crystals and tableware. In the roaring 1950’s, via Veneto reflected the glamour of the Dolce Vita, with Cafes where beautiful people sat all day hoping to be either photographed or discovered. 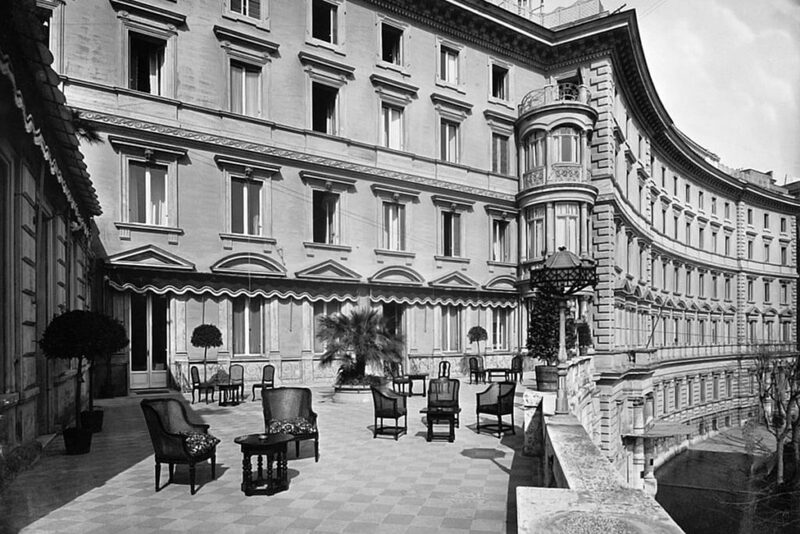 It was during the Sixties that the hotel became the scenery of Fellini’s “Dolce Vita” for moviegoers all over the world. And Rome was known as the “Hollywood on the Tiber”. “Sophia Loren is with Errol Flynn and Audrey Hepburn with Anthony Quinn”. 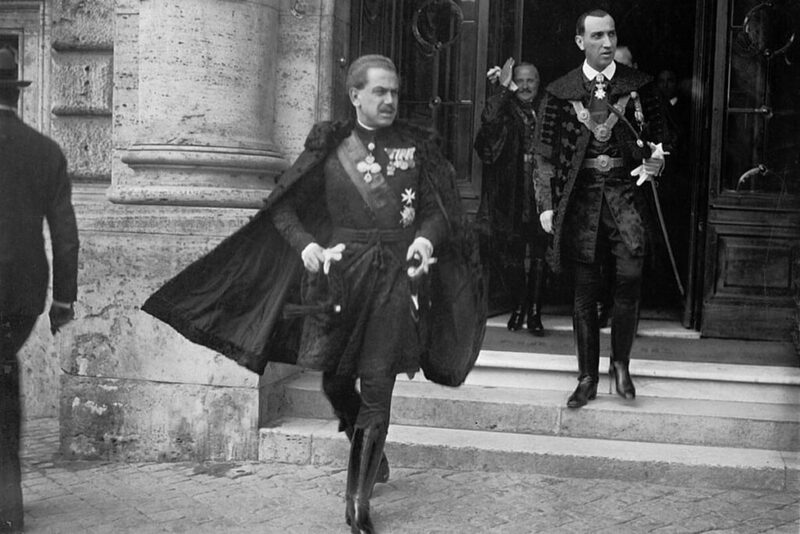 That mythical ditty sums up the recent history of the via Veneto short boulevard which is the Champs Elysee or the Fifth Avenue of Rome. Many years went by and the Majestic gradually got older. 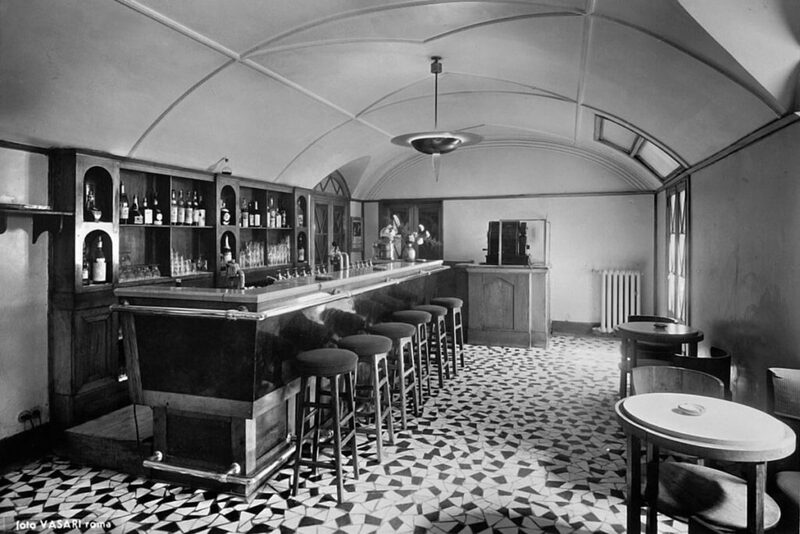 Despite many structural interventions that followed over the years, the hotel couldn’t keep up with the modern technologies and slowly it would have ended up like many other prestigious hotels, that have been transformed or even demolished. Luckily, this beautiful building changed ownership in the 80s, having been acquired by a family with a long tradition in hotel keeping which decided to close it in order to carry out a radical restructuring. In 1990, after an accurate restoration and technical upgrades, that took over three years, the hotel regained all of its past splendour. 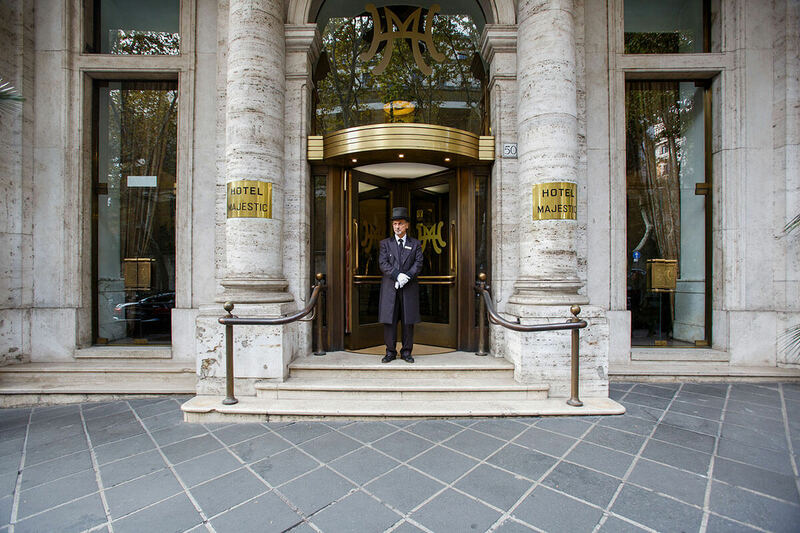 It is at that time that the contemporary history of the Hotel Majestic Roma began. 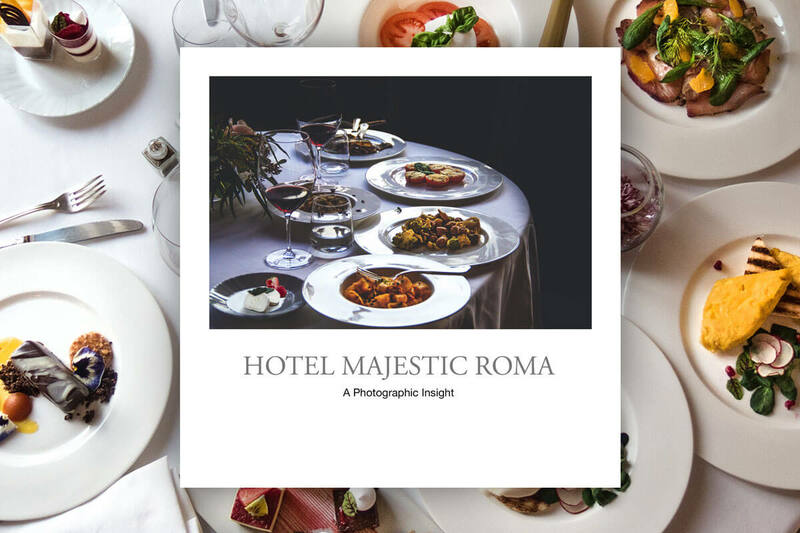 Today, Hotel Majestic Roma embraces its neoclassical heritage by reinventing it for the 21st century and offering guests the chance to step into a one of the city’s most glamorous residences. Hotel Majestic Roma embraces its neoclassical heritage by reinventing it for the 21st century and offering guests the chance to step into a one of the city’s most glamorous residences. 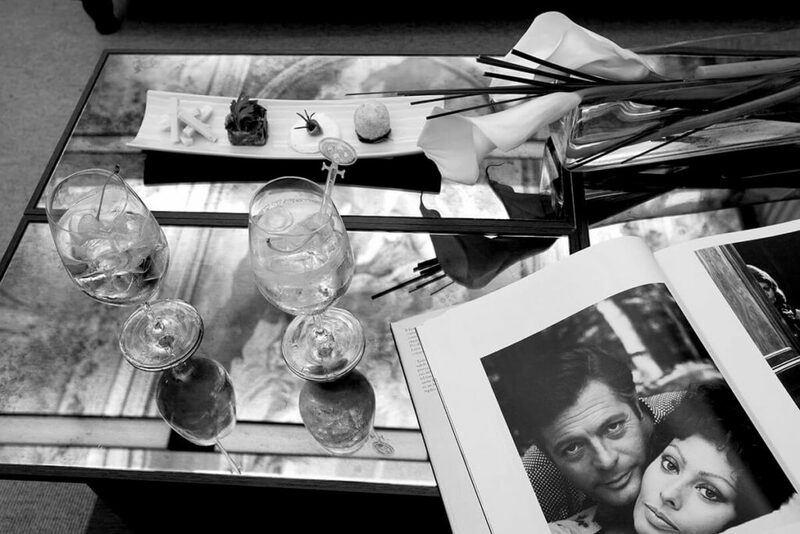 The Hotel Majestic Roma experience, through the scent of our flowers, the flavour of our cuisine, the colours of our pictures and the sound and touching of the pages you will be leafing through. 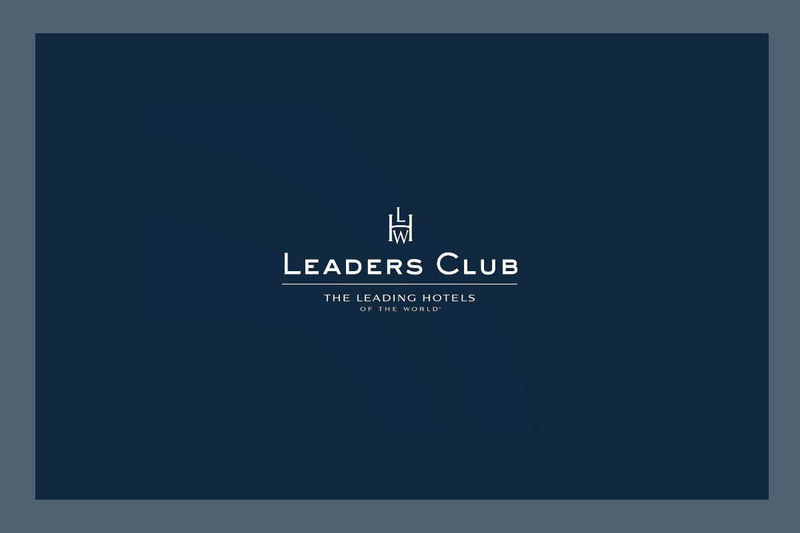 As a gesture of appreciation, we are pleased to offer our customers the membership to the Leaders Club as a gift, which will enable to enjoy special benefits while staying at any of The Leading Hotels of the World.